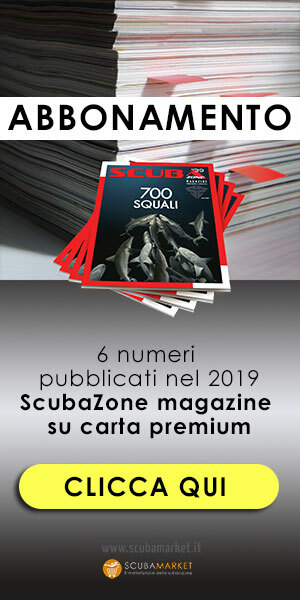 SCUBAZONE is the leading MAGAZINE in the italian diving industry. What does “free magazine” mean for Readers? High quality content and eminent contributors. More than a magazine, ScubaZone wants to push forward a new reading format, characterized by its high quality and modern structure. What does “free magazine” mean for Advertisers? Since its first issue, ScubaZone has captured attention with its high quality graphics and editorial, and free distribution. 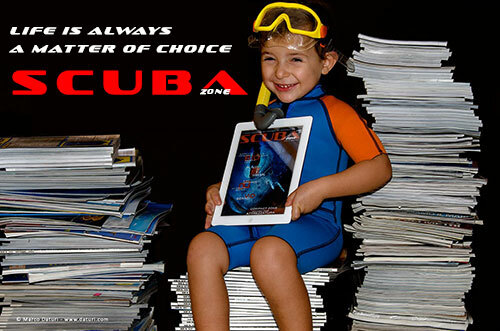 Its natural diffusion by ScubaPortal and partner sites has been enhanced by the growing popularity of tablets and smartphones, pushing it to exceed all expectations in terms of reader numbers. Advertising on SCUBAZONE means using a new and efficient channel to reach readers. A new quality reading, always available for free browsing or download. Available on anybody’s favorite device (pc, tablet, smartphone). Easy to print only the contents of interest. Trust in the authors of articles – not only commercial. Direct link with authors, experts, professionals and other divers. More information thanks to new interactive devices. Education thanks to professional contributions aside of real experiences. Easy search even in the oldest issues thanks to content indexing.